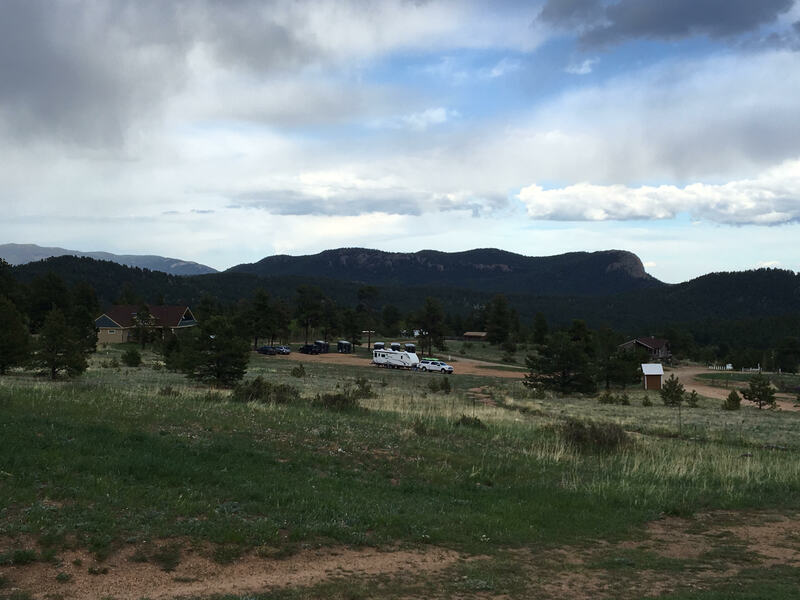 I left Golden Gate Canyon to head to camp. Girl Scout camp that is. As a counselor I noted a few weeks back that my CPR/First-Aid was due to expire, and while blood and guts stuff really makes me weak in the knees, I am pretty proud of myself for getting through it the first time, but needed to re-up. As summer resident camps kick off, GSCO certifies all of their counselors, and I asked if I could head to camp for the recertification. I arrived Thursday evening to Tomahawk Ranch and as it so happened, I arrived just in time for Thanksgiving. You may know that summer camps have fun weird traditions, and Thanksgiving was started a few years ago. The spread of a full Thanksgiving dinner was laid out and all staff sat at one long banquet. And, may I also note, that camp food is the best food. Ever. Yes, I love my mother’s cooking, but for 8 weeks of summer camp in 2015, it was the best food I have ever eaten, on a consistent basis. I mean, homemade pumpernickel, home made raviolis, homemade maple bourbon syrup over sweet potato pancakes. So, Thanksgiving. After dinner, our task was to write ourselves a letter to our future self. Obi Jo, the camp director, said that in ten years time, her goal would be to send all the letters out to us. I was able to park the trailer in the parking lot and stuck around for two nights. I was able to catch up with counselors from my camp. It is amazing to see these young women grow and become awesome more comfortable with them selves (some who were 18) and now taking on leadership roles. There’s something about camp people. I didn’t stick around long enough in Girl Scouts to become a CIT or Counselor at the age I should have done it; but I am doing it now, and it’s almost more meaningful to me now. There’s also something about camp. It’s your own place as soon as you set foot within it’s boundaries. I definitely felt that as a kid, and I feel it each time I go to a new property. There’s a song about “50 miles of elbow room” – I feel I can stretch my arms wide and explore with a sense of wonder, just like the children coming to camp. It’s not something that is solely your own, but to share, and that is the wonder of camp. And yes, at the end of the day, I got my certification, and am damn proud of my Badge work.